On Stage Lighting takes on experiments in minimalism to explore process of creating the Simplest Busk Page Ever (TM). A thought exercise as much as a design one, the application of restrictive rules is used to give every single lighting element maximum consideration. The article will be updated during the development process. *Note: The final updated version that includes the detailed wrap up of this article was sent out to the On Stage Lighting Guest List. Join the Guest List by adding your email to the box below and I’ll send you the full text at the next update. For Free! In an article on how Parkinson’s Law and the Pareto principle can relate to stage lighting work, I suggested that critical thought could be given to any part of the stage lighting process and that not everything we put our efforts into has equal value in the show. 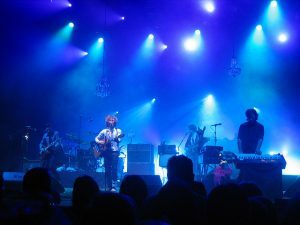 Written a while ago now, Concert Lighting Programming in 20 Mins looked at some quickfire essentials for busking concert lighting that would be achievable in a short amount of time before the festival ‘doors’ open. Nook Schoenfeld’s DVD The Ultimate Punt Pages does a good job explaining some common techniques which often combine playbacks with programmer based busking. However, in our first experiment the rules stipulate the use of the 10 playbacks only. No programmer, no additional executors. Playbacks only. The quest for lighting simplicity often leads me to wonder exactly what the absolute bare minimum might look like and how they might be achieved. The result is an ongoing experiment that I encourage anyone to have fun thinking about. The idea is to set some rules for a minimal busking setup for a common size of lighting rig and spend time evaluating each lighting element and the creative requirements to provide for a wide range of musical genres. This is a pretty common scenario on a particular size of weekend festival. The experiment is actually more of a lighting design challenge than it is a programming one but some playback issues may have to be solved somehow. We’ll look at these as we go. I’ve chosen to use one of the ChamSys MagicQ demo show rigs rather than a custom rig. That way, anyone can have a go with the MagicQ and visualiser and see what they can come up with. The concepts could actually be applied to any lighting desk or rig but On Stage Lighting has a lot of stuff on MagicQ anyway. The experiment is not about programming chops that are specific to a particular console. Ideally, the final ideas could be applied to even a simple DMX software controller capable of running a few moving lights and is not limited to high-end consoles with fancy playback extras. We’ll see what happens. One page of 10 playbacks. Playbacks can be cue stack, chase or single-shot. Master and Flash/Sub Master are also available, along with Crossfade fader. No use of programmer during playback. No executors. Similar to the use of the programmer, executors open the whole thing back up again. Keylight for the band and haze is assumed as a given and not included in the 10 playbacks. These are needed in reality but we don’t want to waste one of our 10 playbacks on them here. Playback must have proper control over the look on stage. No ‘insta-disco’ techniques where the whole look or show is ‘randomly’ generated. However, layered combinations and happy accidents are allowed. This need further thought. No use of playback macros to load additional playbacks not on the page. 10 playbacks is 10 playbacks. The purpose of the restrictions is to focus on lighting a show using a simple but flexible playback system. 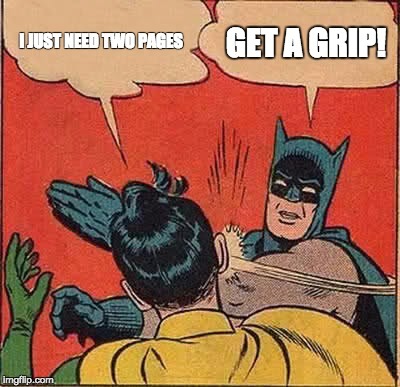 The exploration is not designed to see how cute a programmer can be with macros, page changes, etc. So that you can ‘play along at home’, we’ll use the Robe Demo Show available in the Demos folder in MagicQ PC. This show is a small rig with a couple of moving fixture types, generic PAR channels and an LED array upstage for playback of media and FX. It has a visualiser file already setup and is fairly typical rig for a small festival. If you are playing along with another desk, the setup is 4 Spots, 4 Washes, 4 Colours of PARs and a pixel-mapped LED array. Before we do any programming, we need to decide exactly what we definitely cannot live without that needs a playback and each consideration will be the subject of a further update in the weeks to come. Stay tuned and get the feed at http://www.onstagelighting.co.uk/feed/ which comes a few ways including via email and RSS. Next week’s update will decide the overall strategy for inclusion and rough in ideas for the playbacks. The final update will look at exactly how each playback might work. In the meantime, if you have any particular suggestions or comments in the initial phase, put them in the box below as usual. Welcome back. 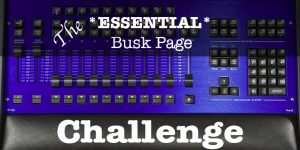 If you’ve been following along in the quest to create the Simplest Busk Page ever, you’ll know that I’m currently experimenting with a series of restrictions that boil down to a single 10 playbacks to busk a wide range of musical genres on a small festival rig. This is part of a longer term series of exercises to identity key factors in designing a busk setup. Full details on the current experiment are below this update. To start with, here are my first ideas on this particular rig and our task. This isn’t the ONLY way to approach this particular busk challenges, perhaps you have other ideas – leave them in the comments as usual. With only ten fader+Go/Pause playbacks for everything (barring keylight and haze), it is pretty obvious that cue stacks are one of the main solutions, rather than using one-shot playbacks. Each playback can be a cue stack of multiple cues, immediately giving us a potentially huge number of options from our simple ten playbacks. This method of busking using playbacks (rather than palettes, executors etc.) is one solution that is often used by programmers coming from a Whole Hog background. (For the record, my pro moving light desk lineage began with both Hog II and classic Avolites, mainly Pearls and Sapphires). Busking with multiple cues in stacks is only theoretically unlimited in scale – in practice, a long list of cues in one stack can be pretty hard to navigate. In my opinion, easiest number of cues in a stack is a miserly three (!) – one ‘home’ cue, and one either side. We aren’t limited to three, but should be aware that creating long lists of cues on a single playback is actually ineffective – we should try to keep things as simple as they need to be. At least using cue stacks already gives us more than ten things to busk with. Because of the way that the HTP attribute (Intensity) is commonly controlled by a playback fader, we can potentially Double-Up all our playbacks to twenty. This is because the Intensity of our moving lights is abstracted from all the other attributes when in comes to playback. A playback could have All Spots intensity, controlled by the fader AND a cue stack of colours, for example. This pairing doesn’t even need to be the same fixtures on the stack and the fader. Doubling up between HTP and LTP on each playback means that we have even more options. Potentially twice as many playbacks, although in practice things aren’t quite that simple. We should accept that ‘everything is not going to do everything’ if we are going to create a meaningful busk page within the limits. This rig has PAR colour washes, lighting the band and providing colour plus ‘beams in the air’. I might decide that the PAR colour washes are ‘base’ looks and limit the quantity and combination of them to keep things manageable. Perhaps the PARs will only bump but never chase or have Intensity FX applied to them. Reducing the scope of particular kit and allowing each item do more narrow range of jobs can save us playbacks. Everything doing everything doesn’t mean the final show is going to better. Many rigs have Spots, Washes, Beams and various moving lights of different types. The more types (and models), the more complex things can be to busk with if we are not careful. This rig has four Spots and four washes – two types of mover. We might want to decide if we are going to always treat Spots and Washes distinct or combine them in order to keep the number of playbacks down. We will need to think about different fixture types and their jobs to see if we can live with two types being recorded into one cue/look. This includes elements of the media playback. Before we look at the specifics of the Robe Demo Show, let’s look at a Playbacks Only solution of pro concert LD/Op Graham ‘Grum’ Leesmith (http://www.lesmurf.co.uk/) who posted a solution for us in a ChamSys users Facebook group. A number of MagicQ users contributed to a thread posted on the Playbacks Only exploration. Grum agreed to On Stage Lighting sharing his own wish list for a standard festival rig. The list relates to a rig of Spots and Washes plus blinders and key light , which he manages to squeeze onto the final playback, rather than this particularly show. However, what strikes me about this list is that it bears a large degree of similarity to busk page solutions that most of us would arrive at given the Playbacks Only rules. Here’s the allocation of playbacks for Grum’s busk page, plus the some additional notes. A bunch of looks utilising all fixtures in mixed positions. Everything moves but as a whole it always looks good. 4. Colour and Beam stack. A bunch of mixed colours and beam looks some with beam stuff some without. Both set with fader to control size. To control dimmer speed of all chases. All chases set to same speed so that they all run in sync when the master kicks in. All position cues to have 2 or 3 second fade times, same for mixed colours. Everything else snaps. All FX to have 1.5 second fade in and 0.8 second release times. Beam Palettes: Locate/ Open shutter/ Closed Shutter/ Random Shutter/ Break up 1/ Break up 2/ Gobo Rotate Off/Slow/Medium/Fast/ Prism On/Off. Looking at our Robe Demo Show, we have Spots and Washes to deal with but also PAR colour washes and the pixel-mapped LED array. To start allocating, we need to work out what we cannot live without. In this way, we can tick off playbacks and make further decisions as we go. Strobes. This rig doesn’t have any dedicated strobes so we’ll have to use the Spots and Washes to do strobes in the crowd and on stage. We could also fake some strobing on the LED array. Either way, I need good and timely access to strobes no matter what is happening during the show. Strobes need their own playback, how that playback is arranged is to be decided. No real decision to be made – one playback gone. Conventionals: the PARs. We could handle the PARs in a few ways. We could Double-Up the HTP of the PARs in colour washes along with LTP of other kit as per Idea 2, or we use one or two dedicated playbacks that just deals with the PAR colour washes. With one, we’d just have a cue stack of colour combinations, an overall master level on the fader and fade times set between each combo. During operation, we could either Go to the next colour or fade the playback down, bump through the list to the desired colour, and fade it back in. Two playbacks of the same PAR stack would give us the opportunity to pick two-colour washes, never have the PARs blackout while maintaining smooth transitions. Plus, we could manually bump between the two playbacks creating some dynamic beams. Of the three options above, let’s pick two playbacks for the moment – we can still change our minds. Seven playbacks left. Media and LED. Running the LED pixel mapping upstage needs at least one playback, more would give better flexibility. It would be possible to be cunning and run the LTP elements of all the media along with other playbacks or Double-Up with the PARs but we’d still want at least a Master Intensity on the LEDs that ideally isn’t also combined with other intensities. So that’s still one playback. If we want another one later, we can add that. But one for now. Six playbacks left for our busk page. ML Colour. One playback. There are lots of ways of dealing with this, including using no extra playback*, but we’ll allocate one for flexibility. Five playbacks left. Other ML LTP channels. Bare minimum we really need the following discreet playbacks for flexible busking: Moving Light Position, Beam, Moves. I would prefer to keep these on distinct playback, the Moves playback could have speed on fader position, the Position transitions could be busked using some kind of Rate Master. Beam is more tricky. There are a lot of potentially useful Beam look combinations that if left to single playback could results in an unwieldy cue stack of many cues. For now, let’s keep these moving light LTP at three playbacks which leaves us with two left. Uh oh. ML Intensities. So far, we can control the intensities of our PARs and the LED wall. We need to do the same with our moving lights, for me with a minimum of two faders. These two faders can either be allocated as Spot and Wash or could be All Odd and All Even. There are costs and benefits to each method. The reason for using at least two is similar to the PAR bumps: We can manually bump intensities in time to the music in both 0% > 100% style or by leaving an Intensity fader up and bumping 50% > 100% – they both look good. Because of the positioning of the Washes and Spots, I’m inclined to prefer and Odd/Even split here but that does sacrifice flexibility for controlling just Spots or Just Washes. This is assuming we do Double-Up, otherwise there are options that involve cue-stacking different Intensities on a playback. Assuming a Double-Up HTP and LTP, moving light Intensities use NO EXTRA PLAYBACKS!!! In my experience of creating busking pages of around ten playbacks, we have now reached the difficult decision point. In the field, what I generally do with remaining playbacks (other than key light or some show specific specials) is to create Safety Looks or just shove some badly thought out playback that I rarely use because I don’t spend time wondering if I need to allocate anything at all! I usually waste the last two or so because I already have everything I need and am too lazy or time-pressed not to make a few final bad decisions. So, what should we do with the last two playbacks that works with what we already have? At this point, we need to evaluate where our extra faders are most needed. Let’s be clear, we are still not struggling for playbacks as I’ve not allocated everything based on HTP / LTP Double-Up – we could be even more efficient/mean with our playbacks. But let’s just take stock and fix this particular eight playbacks for now. What are the others used for? Do we need better Beam flexibility by spreading beam information across two playbacks say, a texture and a beamshape playback? Do we need to have better access to colour FX and media playback speed for our LEDs? What about really important one-shot stuff like Blinders that we haven’t even thought about yet? This rig doesn’t have dedicated blinders, meaning if we want that instant “Waayyy-ooohhhhh” (and we always do), we’ll need to find a way to use the moving lights for it. And be able to pull it out of the hat the very instant that the effect is required. This sounds really interesting. I Keep my busking to one page but make heavy use of the programmer. Will be following with interest! Great to hear, Stuart. I plan further sets of rules to include programmer and execs. All in the quest for the essentials! Do you have a Chamsys Showfile for this to see how this is Setup exatly? This has been SO informative! I feel like such a noob using each playback for one look only… This has really opened my eyes to how a console is supposed to be used. It’s like night and day. It just makes so much sense and you have so much more control this way. Glad you got something from it. There are a lot of ways to approach lighting and video control for shows.